On medium speed, using the stand mixer fitted with the whisk attachment, whisk together the cream and condensed milk until it's thickened and almost doubled in size. Stir the coconut, crumbled sponge, melted chocolate and shaved chocolate into the cream mixture. Then refrigerate overnight (minimum 6 hours) until set. 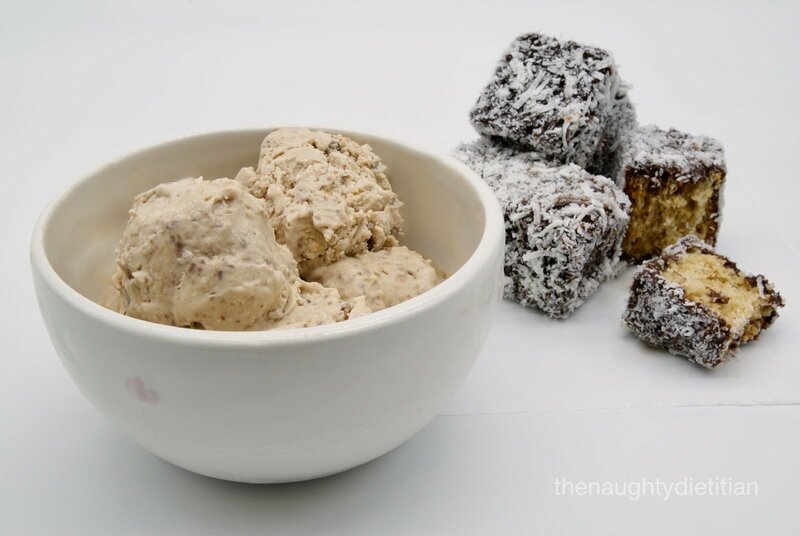 This entry was posted in Desserts, Food and tagged Chocolate, Coconut, Gluten Free, Ice Cream, Lamington, No Churn, recipe, Spone Cake. Bookmark the permalink.